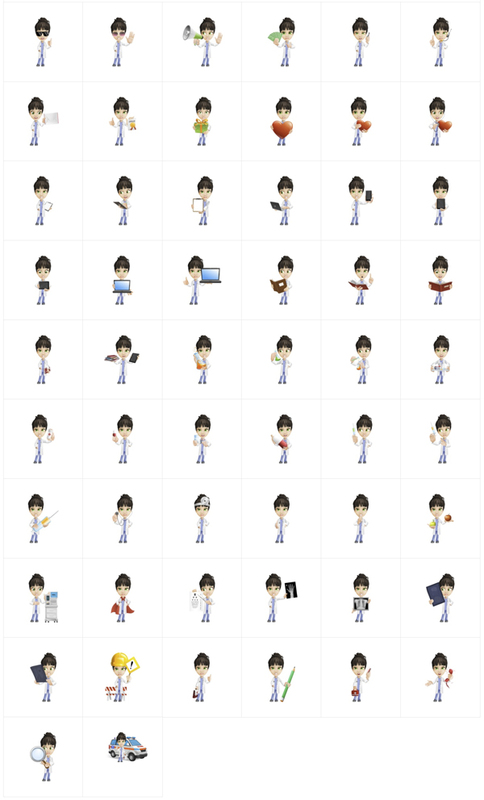 A female doctor cartoon clipart made in 112 high-quality poses. This cartoon doctor girl is cute and made in a realistic style. She will definitely grab the attention of your audience. In this set, you will find a huge collection of healthcare and medicine poses. Our female cartoon doctor is holding a heart, holding a book, holding a flask, holding a syringe and many more. Available in both raster – PNG, and vector – EPS, AI, PDF file formats.